A+ INVESTIGATIONS & PROTECTION, LLC. 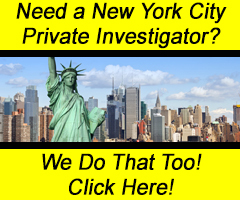 Pennsylvania Private Investigators with years of Investigations and Protection experience. A+ Investigations & Protection is a Pennsylvania Licensed Private Detective Agency Serving The Commonwealth of Pennsylvania with our Headquarters based in Berks County, Reading, Pennsylvania. Our Professional, Experienced Pennsylvania Private Investigators are committed to providing the highest level of quality Pennsylvania Private Investigation Services at affordable prices. Our Pennsylvania Private Investigators are familiar with old-fashioned and modern-day techniques that can be utilized to achieve better results. Do you suspect a Cheating Spouse? Curious about the Guy that is Dating Your Daughter? Did one of your Defendants skip-out on bail? Do you need Child Support, but can’t find the other parent? When You Need Someone to Trust, You can Count on A+!